We hope your back-to-school time is going smoothly, and you had a wonderful Labor Day! This newsletter has many exciting features! Sequoyah Award program builders: Ideas, printables, and more! Also, we spotlight several authors, including a Sequoyah author who SKYPES WITH SCHOOLS FOR FREE! Also, there is an OTA/Encyclo-Media update at the end of the newsletter! If you didn't receive a letter in the mail from us recently, please CLICK HERE to view the two-page document with information and a response form. Filling it out helps me update my records, and it helps me know what promotional items to send your way. Also, if you think you've missed one of these newsletters, please find archives at www.brownbrothersbooks.com. This edition of our newsletter contains tips, printable games, and motivation to grow your school's Sequoyah program. The OLA website, oklibs.org is an amazing site with loads of promotional materials. This newsletter is designed to add to the wonderful resources they provide each year. We love the Sequoyah Book Award, and our goal is to help the Oklahoma Sequoyah Book Award grow each year, with increased participation and votes cast. LET'S GROW YOUR SEQUOYAH PROGRAM TOGETHER! > Food ideas: Pizza, popcorn, ice cream, sundae bar, cupcakes or cake with Sequoyah logo or image of previous year's award winner, Cherokee fry bread, Cherokee Bean Bread, or other traditional Cherokee food. SHOW OUR EXCLUSIVE SEQUOYAH AUTHOR VIDEO! Have a school/local VIP or high school student read a shorter nominee aloud. Let students decorate book-shaped sugar cookies (baked in advance). Arrange a Skype appearance by at least one nominated author. Do Sequoyah readers theater (provided at oklibs.org). Use the Cherokee/English lexicon at www.cherokee.org to learn new words. Play Sequoyah Bingo (printable below). Play charades using the masterlist titles. Announce goals, awards and prizes for the year. Have Sequoyah Word Find races (printable below). Make a Sequoyah board game, perhaps modeled after Monopoly or Careers. 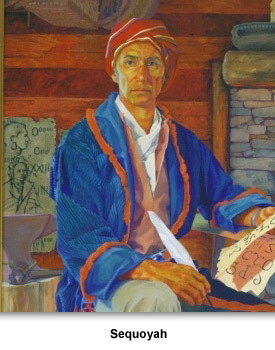 Read a short biography about Sequoyah to the students. Students dress up as Sequoyah-nominee character costumes. Students make up a Sequoyah song using nominee titles. 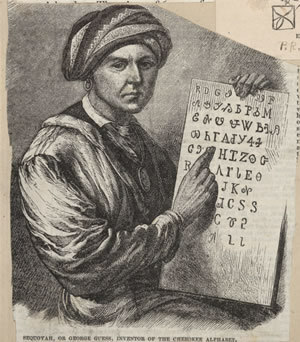 Invite a Cherokee Nation member to read or speak about Sequoyah or the language. > Party prizes: Bookmarks, pencils, candy, copies of previous winners, rulers, stickers, temporary tattoos. > Host a lunch bunch every week or two and invite students who have read the designated book to discuss the book over lunch. > Students perform Sequoyah readers theater at parent/grandparent night. > Host an after-school Sequoyah club or readers' circle. > Create a document with images of each book, plus the first line or paragraph of each book. Call it "Sequoyah 2016 - First Lines". > Give "Sequoyah Bucks" (printable below) to students as they read Sequoyah books, and allow them to redeem them at your spring book fair. Or, let them use the Sequoyah Bucks for other things like treats and privileges. Possible awards: One buck per book. Or, one buck for the first three books read, two more bucks after reading six, and so on. Students who read all fifteen would end up with fifteen bucks to spend at the book fair. That might be too much - adjust to fit your own book-fair financial situation. > Have a principal agree to do something crazy, like wear a funny wig all day if a certain level of participation is reached. Extra recesses work too. > Create a Sequoyah "Wall of Honor" and recognize students who have read three books. Each student's post could have a saying like "Alex can vote, can you?" or "Beth is qualified, are you?" The student post on the wall could include "My favorite Sequoyah book so far is _______"
> Print and award Sequoyah voter ID cards (printable below) to students who have read three books. These could be laminated and attached to their desktop, posted on a wall in the classroom, or the student could carry it. 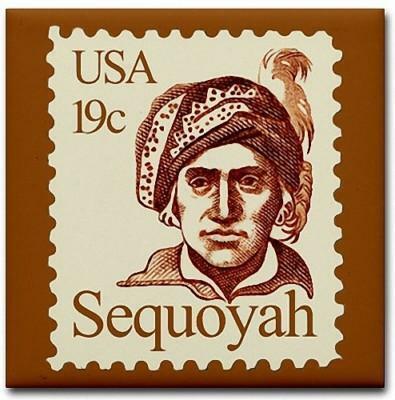 > Print and award Sequoyah desk plates (book-shaped die cut or Sequoyah image) to students who have read three books. These could also be laminated and attached to their desktop. > Make an "I Read It" area on a wall, with one single sheet for each book with an image of the book. As students and teachers read a Sequoyah book, they can sign their name. Or put up a color copy of each cover, with a list below for students and teachers to write their name after they read it. > As students reach reading goals of 3, 6, 9, 12, and 15 books, put their name into a drawing for special prizes. > Work with a local business to give a special coupon you can present to students who meet Sequoyah reading goals. Or have businesses agree to give a free item or discount to any student who presents their Sequoyah voter ID card. > Once a week during the school-wide announcements, share the names of any students who qualified to vote that week. > Sequoyah friendship bracelets - Requires 12-14" strips of leather and beads. After reading a book, student receives a bracelet with one bead, and then additional beads for each additional book they read. You will probably need a policy to either not replace lost bracelets or charge money to replace them. And, you may want to require that the bracelet be present anytime a bead is given. Also, you'll want to rotate the leather color and/or bead color from year to year, so each is a little different. > Host a tea for the teachers and introduce the books and collaborate with them on ideas. > Encourage teachers to offer extra credit for students who become eligible and vote. > Have class v. class Battle of the Sequoyah Books in Jan/Feb. Can be done in teams (academic team or Family Feud style), or individual like Jeopardy. Find rules and how to secure questions at the Sequoyah page at oklibs.org. Winning classes/students can get incentives like extra recess or book-fair prizes. > Each time a teacher reads a Sequoyah nominee aloud, that teacher's name gets put into a drawing for a prize. Draw for prizes at a spring faculty meeting. Prizes could include gift cards, you covering their class while they go out to lunch, having their class in the library an extra time or two to give the teacher extra planning time, or free items from the book fair. > If 100% of a teacher's class becomes eligible to vote, do something special for the teacher and/or their class. 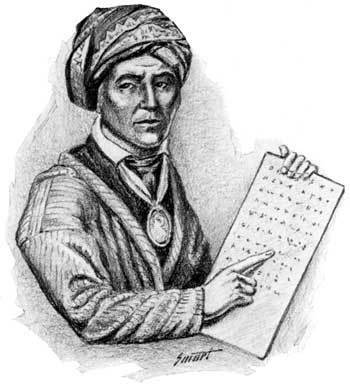 > Print out classroom Sequoyah reading charts and maps and distribute them to the teachers. >Send a press release to the local newspaper, telling about your Sequoyah program, and soliciting community support by stating your needs for additional book copies, awards and rewards from local businesses and community patrons. > Send a letter to parents, contact the PTA/PTO, ask local businesses for help, or seek out grants. > Invite those who support your program to your parties, and/or make sure to recognize them publicly. > Sequoyah parade with wagons or a/v carts decorated in the theme of nominee books. > Have students poll other students and make graphs and predictions using the data. > Have students write commercials/advertisements and post in the hallway, or let them read them over the PA system during the announcements. > Have a competition with students debating the merits of their favorite book. > Have a pep rally with student-made skits from books. > Explain to your students that our country honors "secret balloting" and voters do not have to tell others how they voted if they don't want to. > Buy or make cardboard voting booths to mimic adult voting booths. Refrigerator boxes work great! > Invite voting judges, have a sign-in sheet, decorate the ballot box, and do whatever you can to make the voting experience similar to adult voting experiences. > Give a Sequoyah "I Voted" sticker to all who vote. > Give door prizes to either all voters or random voters as they vote. > Have students conduct exit polling and interviews, asking other students about their vote, and what other book(s) they were considering, etc. > Help students collect voting data from other schools, with your help, or from friends/family who attend or teach at other Oklahoma schools. Using the data, students can create graphs and/or make predictions on what book will win statewide. > Have a voting-day event/party for those who voted, and let students write thank-you notes to stores, people, and organizations who helped your Sequoyah program with money, incentives, and prizes. > Invite the local newspaper to come cover voting day, or submit a press release to your local newspaper with images of students voting, voting results, and thanks to community people who supported your program. > Post voting results the following day, broken down by class, grade level, and school. 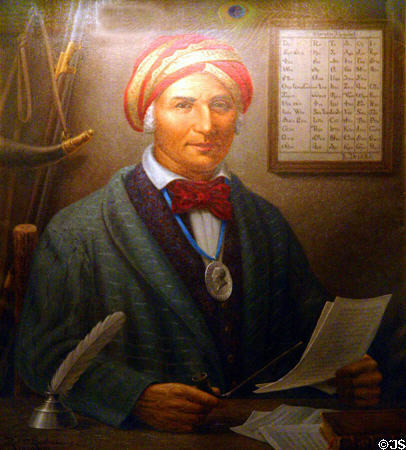 >The Sequoyah winners are announced during the OLA conference in late March. Host a watch party after school that day, or have the school on high alert and as soon as the tweets start coming out, announce it over the intercom system. >Submit a press release to your local newspaper with the state-wide voting results, pictures from the watch party, and a re-cap of your program. Coming soon: "I Voted" printables, and "First Lines" documents for the intermediate and high school lists. Requesting these will help motivate us to get them done faster! We will also help create anything you request, or edit/enhance any of the above for you. Most of these printables are for the Children's list, but we'd be happy to adapt any to intermediate or high school - just ask! Holly Schindler, author of 2017 Sequoyah nominee "Junction of Sunshine and Lucky" will Skype with your class - free! Oklahoma author Jane McKellips and our friend, Oklahoma Illustrator Christopher Nick recently teamed up for a great book for young readers, "Dust Storm". Published and sold by the Oklahoma Heritage Association, you'll want to have this book in your library. Both Jane and Chris do school visits. 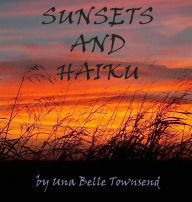 Former Riverside librarian UnaBelle Townsend has written several books, including her latest, "Sunsets and Haiku". Her newest book is due out very soon. It is about Choctaw code talkers in WW1. The title is "Toby and the Secret Code". Retired Oklahoma principal Janice Callaway has a new book out just in time for Halloween. The Three Little Pigs Gone Halloween. 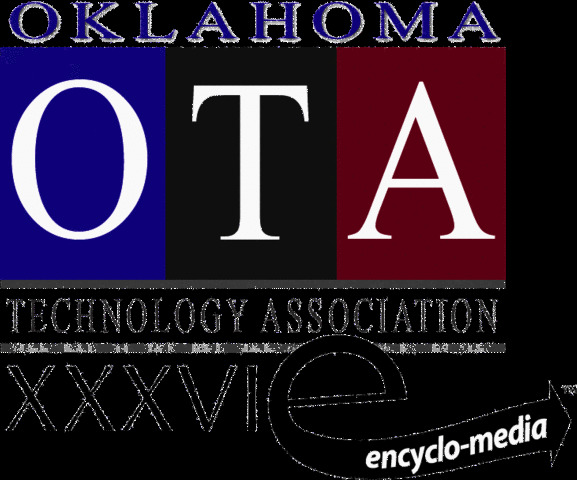 Make sure you register and attend OTA-Encyclo-Media! We are hosting authors Paul Griffin (OKSL luncheon speaker), Lois Ruby (Doll Graveyard), Adriana Brad Schanen (Quinny and Hopper), and Carmella Van Vleet (Eliza Bing is (Not) a Big, Fat Quitter). All will be speaking at our Tuesday evening party. Prizes will be awarded. Not attending OTA - You can still attend the party! Please forward this newsletter to your colleagues! Only 20% of our customers actually open our newsletter emails, and we want every Oklahoma school library/media specialist to have this information. Last week's edition was also quite informative. Thank you for helping us pass this information along. Thank you so much for your service to the students of Oklahoma, and for your dedication to promote the Sequoyah Book Award program to your students. We are here to support you and serve you any time.